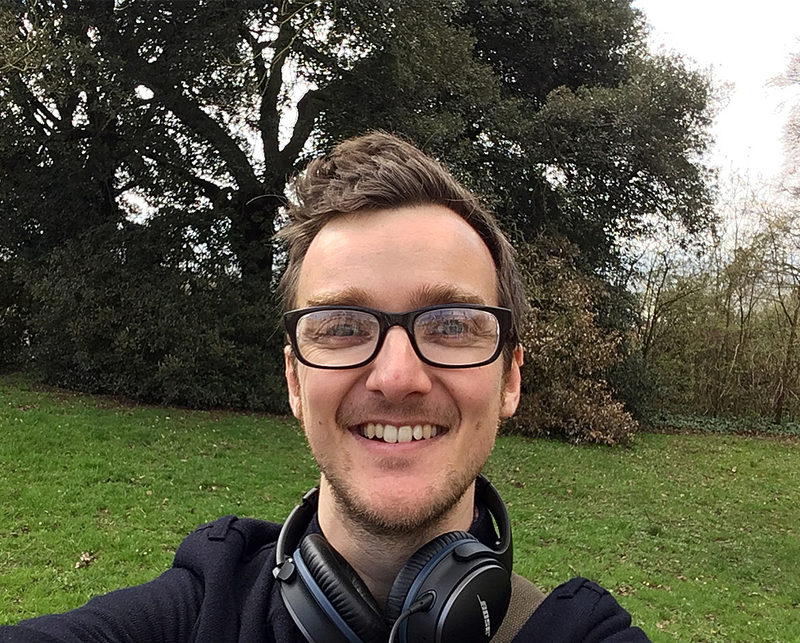 I’ve spent the last decade or so in the visual effects industry, primarily here in London. Most of that time was spent at a company called The Foundry, where I moved from teaching VFX techniques into prototyping tools and applications that helped VFX artists more effectively use the data available to them. Just over a year ago I realized that the problems inherent in VFX work (broadly speaking: processing imagery, creating/manipulating 3D models, and managing large amounts of data) are almost the exact same problems faced by those in the space industry. I’ve always been fascinated by space, so actually quit my full-time job in order to investigate this further. So far it’s been an incredibly eye-opening experience! I ultimately want to make tools that increase the accessibility of space data, so started investigating what was already available. I was blown away by the quality of the imagery on the HiRISE site. Its curation and presentation sets a very high bar that I’ve yet to see matched. I was also curious about the digital terrain model (DTM) dataset, so set about trying to see if I could make that side of the HiRISE story accessible to anyone, anywhere, on any device, in full 3D. To do that, I first had to figure out how to process the data myself! After a fair amount of research I set about writing my first HiRISE desktop application, Areo, which processes the available raw DTM files, converts them to a 3D model, and then allows users to export that model to a more common 3D format. With the 3D models now converted, I gave myself a month to design, build and launch a website to display them. This was my first web-app so this involved very quickly getting up speed on the tech required, but four weeks later I launched AreoBrowser.com. 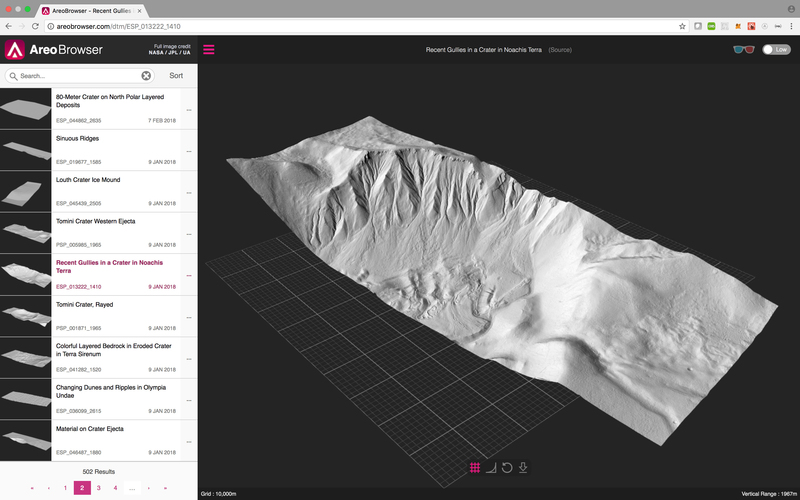 Users can browse every available HiRISE DTM model in 3D in any browser, and also download every model shown, and there’s even a 3D-printable format available too!